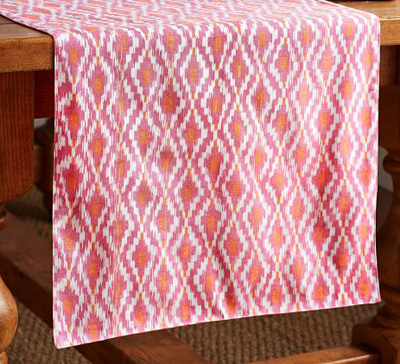 This energetic print of this Pink Isa Ikat Yarn Dye Table Runner brings a festive element to any event. Layer with the matching napkins or choose a tablecloth in a solid color for a beautiful table that lets the ikat be the star. $69 Sale $55. Buy here.